Kevin and Wynna Leahy with their daughter, Scout. So I strolled into the Globe offices wearing a bathing suit. OK, not really. But that’s how exposed I felt. You try wearing a fanny pack in public. In case you haven’t heard: After decades as the poster accessory for the binoculars-and-tall-white-socks crowd, fanny packs have now been blessed by the beautiful people. They’ve been spotted at The Lawn on D in Southie and MFA First Fridays. In Somerville and Provincetown. Gucci, Prada, and Louis Vuitton are in on the action. So many celebrities have bowed to the pack’s power — Kim Kardashian West, Rihanna, Jaden Smith, NBA star Russell Westbrook, to name just a fraction — it’s almost cliche. In today’s bizarro fashion world the dorks are the people not wearing a pack, so I wanted to see if I could pull one off. But here’s the problem: If you wear a fanny pack in the presence of people who didn’t get the memo — or if you yourself don’t possess such implicit style that anything you wear is assumed to be on-trend — you’re going to look like an idiot. “What is that? ?” a colleague asked when he saw me and my pack, which I was wearing cross-body like some celebs do. Admittedly my vibe was less red carpet than wall-to-wall. “It’s a fanny pack, and it’s stylish,” I said with a confidence I did not feel. “Oh my God,” I heard him mutter as I fled. The fanny pack is in a weird fashion moment. Despite the A-list embrace, and the fact that they’re selling out of stores at an astonishing rate, according to Edited, a retail data analytics platform, their reputation from the ’80s and early ’90s remains so toxic that many people are not only afraid to wear one themselves, they don’t even want to be associated with someone wearing one. It’s as if fanny packs are communicable. “We need to rethink our friendship,” is how Nancy Brown’s friend greeted her when the two met for breakfast in Newton Centre, and Brown, 57, director of a nonprofit that redistributes gently used dorm items, showed up in a fanny pack. Her friend, she explained, is the “sweetest” woman, “but she has the trauma of her parents wearing them." It’s true — fanny packs are seriously chic right now, but plenty of haters haven’t gotten the memo. 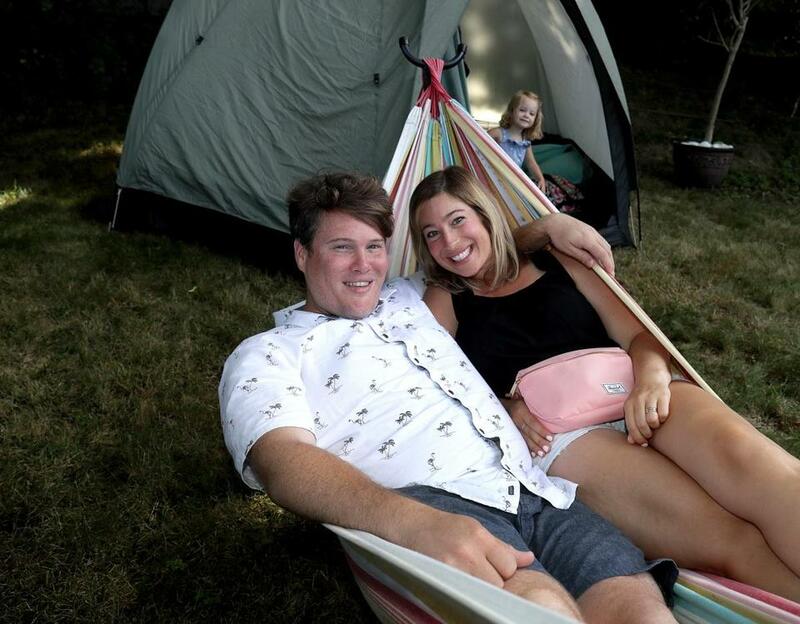 The presence of a fanny pack can be so intense that Amy Finegold, 46, a personal stylist from Andover, felt the need to alert a friend she would be wearing a pack when they met to go to a wake. In Stoneham, Wynna Leahy’s husband, Kevin, “begged” her not to bring her new pink fanny pack on a family vacation to Bar Harbor, Maine. “There are reasons those things died in the ’90s,” he said. But such is the power of the fanny pack that soon enough he, too, fell under its spell. It meant he no longer had to hold his wife’s lip balm, and because Wynna, 35, a special education teacher, always had her phone on her, she was easily reachable. “It’s the best thing that ever happened to our relationship,” said Kevin, 35, director of marketing at Gravyty, a Newton firm that aims to help nonprofits efficiently raise money. Why were fanny packs so hated to begin with? Fashion critic Sabir M. Peele said that when the packs debuted, they felt like a “punishment” — something your mom would make you wear to carry all of your stuff. “You were already wearing neon because it was the ’80s and ’90s, and now you had this weird kangaroo pack,” he said. 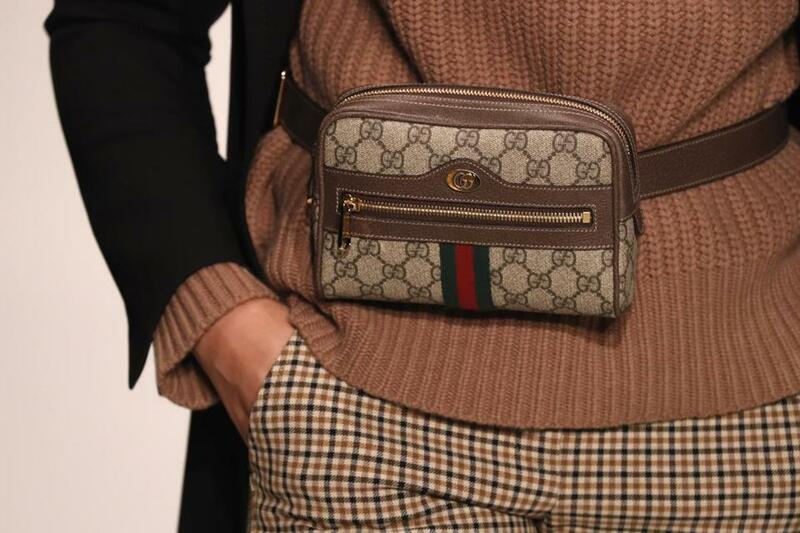 Needless to say, there will come a day when the fanny pack is once again a pariah — probably after I’ve gone into credit card debt to buy a Gucci pouch. But as of press time, they were still hot. “I literally can’t stop wearing it,” said Jackie Dunn, 28, a publicist from South Boston with a style blog, 7th & Willow .